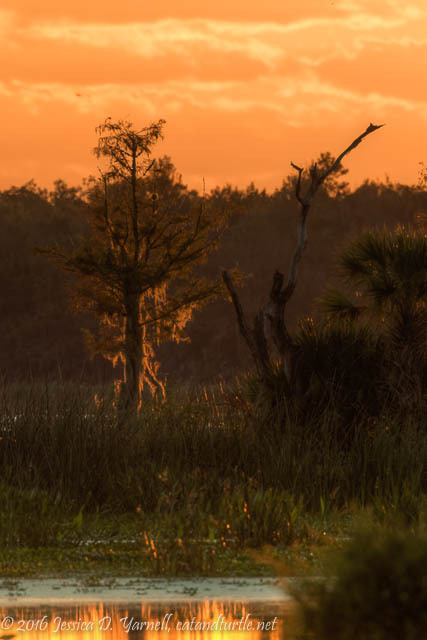 Two weeks ago I met Michael at Orlando Wetlands Park for a nice morning of birding. It was one of the first cool mornings of the fall. It felt so good to be out! 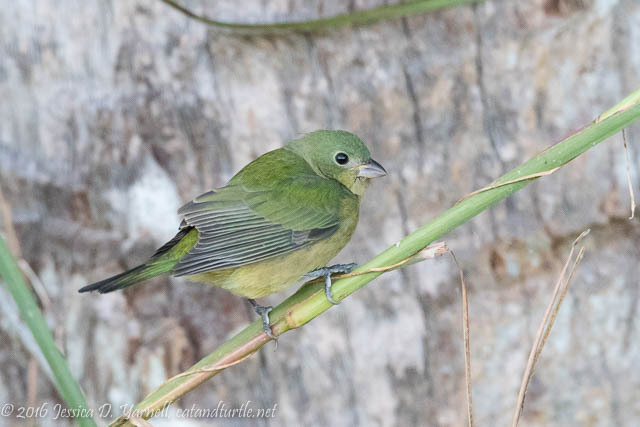 The winter birds are back in Florida and it was great to see them again. It was a beautiful morning. We had opted to sleep an extra half hour and skip the sunrise shoot since the forecast called for 0% cloudcover (not a very interesting sunrise). But we still made it out to the trails before the sun came up, and pale wispy clouds were on the horizon. I loved how the golden light lit the landscape. 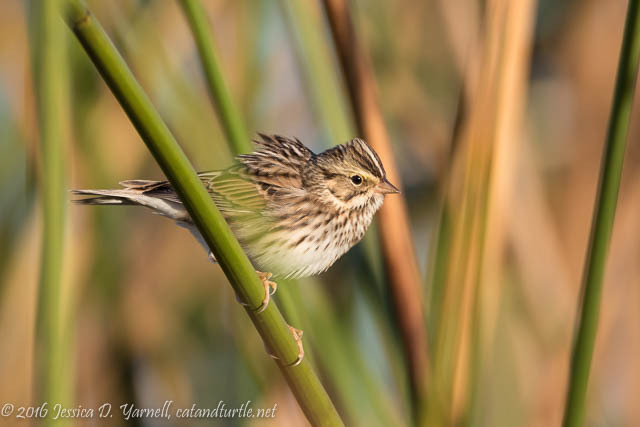 After the sun came up, we spotted lots of Savannah Sparrows in the reeds. They are one of our more common sparrows in Florida in the wintertime. Even though they are common “little brown jobs,” I enjoy photographing them. The detail in their feathers is pretty. The wading birds were in search of breakfast. 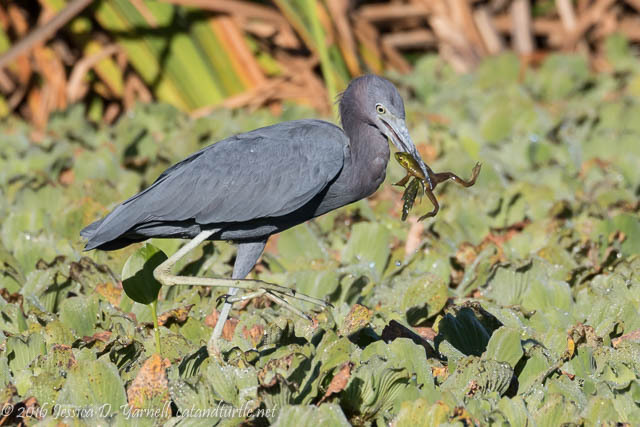 We watched Great Egrets, Tricolored Herons, and Little Blue Herons stalking their prey and grabbing small minnows from the water. 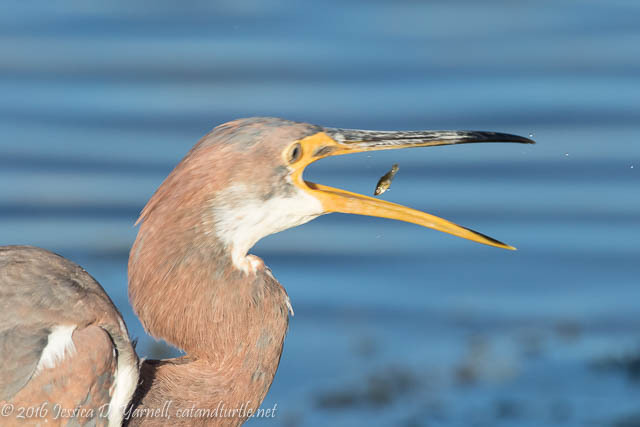 I didn’t realize that I’d caught a minnow in mid-air until I saw the photo on my computer! After gulping his breakfast, he flew off. 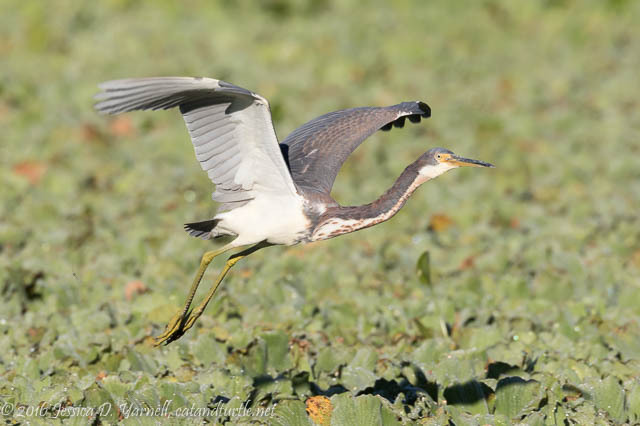 One of the few birds that flew toward my lens that day…how nice! It was around this time that a small striped bird flew overhead. He seemed to come out of nowhere, and flew directly over us. We’re pretty sure it was a Merlin, a lifer bird for me. But I didn’t get a picture! I don’t add birds to my life list until I’ve gotten a photo. So I’ll have to keep watching…maybe later this winter I’ll have another chance! I’m not complaining, though. A few minutes later an American Bittern flew by. Not a bad consolation prize! 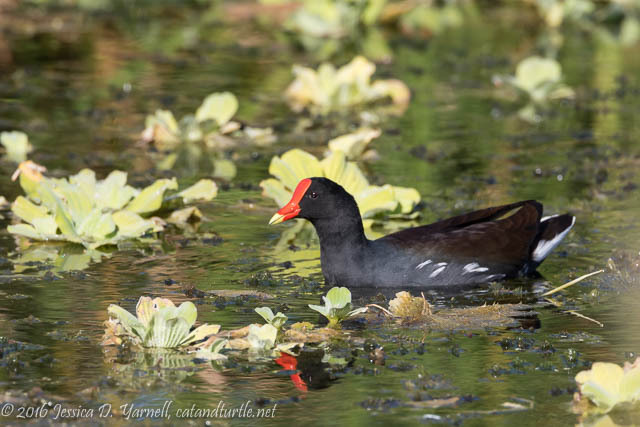 You know you haven’t been out much lately when you start watching the Common Gallinules. The wetlands echoed with the calls of these silly birds. They’re still not sure why they aren’t called Common Moorhens anymore. Moorhen seems to fit them better! 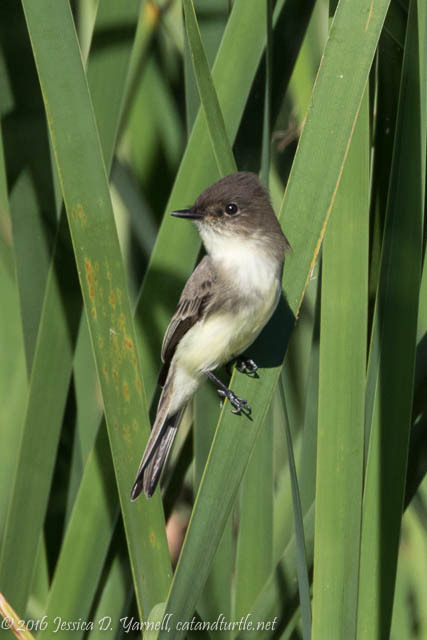 We heard Eastern Phoebes calling from all over. Finally one came close enough to photograph. He liked to perch in this clump of reeds in order to stalk his breakfast. Then he’d fly out, grab a bug, and bring it back to eat. 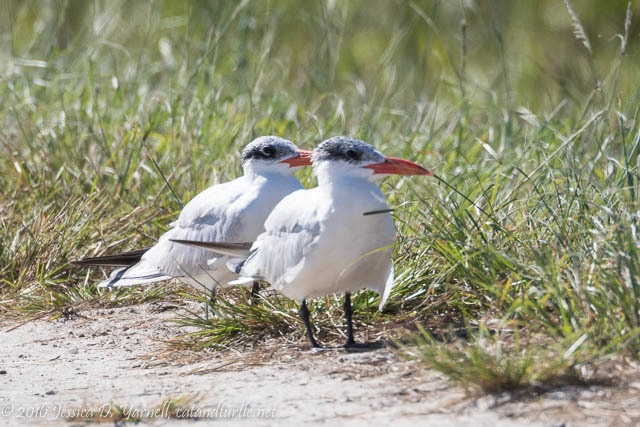 As we turned back at the end of the morning, we noticed a pair of Caspian Terns flying overhead. They landed conveniently on the edge of the path, like they used to do at the Circle B Bar Reserve. I had time to snap a few quick photos before a family came walking up the path and startled the birds. All in all, it was a great morning to be out. Maybe Merlin the Magician will grant me the opportunity to photograph the next Merlin I see!! What a wonderful morning! Thanks for sharing your walk. 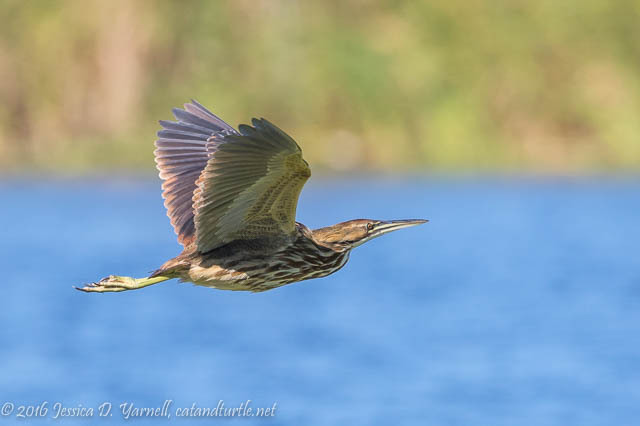 An American Bittern is, indeed, quite a consolation prize! I’m with you. 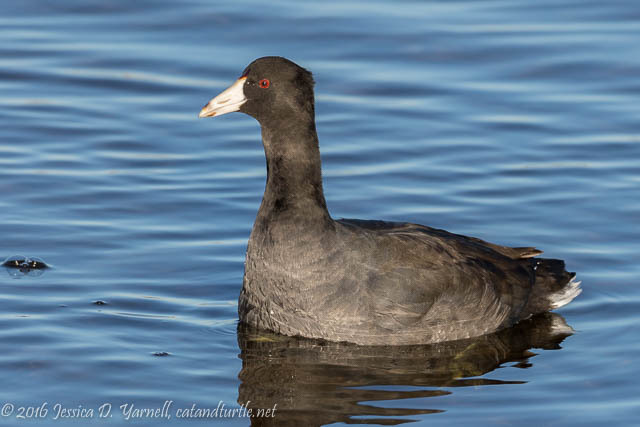 Hooray for Coots ’cause they signal cooler weather is on the way!